Golf and/or spinning – something is making my ankles ache! In: Knitting | spinning | Stupid things I do! Came home from golfing this afternoon and couldn’t figure out why my shins and ankles hurt so much. Then I sat down at the spinning wheel to treadle, and lo and behold, I know why they hurt! Hmmmm…..I’m either treadling too fast or too hard and I’m positive it’s NOT because I’m out of shape! Hi Ho – Hi Ho – it’s off to spin I go….. Comments Off on Hi Ho – Hi Ho – it’s off to spin I go….. I sure hope I have as much fun trying to spin today as I did a few weeks ago! Before hubby left for work he asked me what I was going to do….told him we’re (Velma, Jan, Sally) going to the new yarn shop, Enchanted Yarn and Fiber. He said “are you bringing home your spinning wheel”? – said I wanted to try it again before I made a decision! Hmmm…..he’s thinking along the right lines! Here I go again….spinning again on Tuesday. Comments Off on Here I go again….spinning again on Tuesday. Why oh why is this so intriguing to me? I guess because I don’t know how to do it! And it helps that someone who does spin is so willing to teach it! Sh…..it’s a secret, she doesn’t know I want to spin tomorrow! LOL Yeah, right, who am I kidding!!! 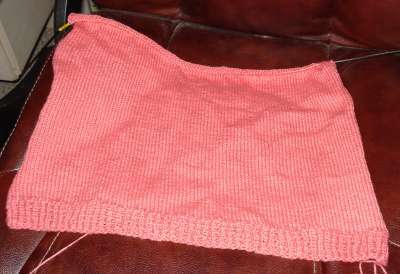 Am using U.S.A. Yarns Hope in Peach Blossom. It’s a very pretty color! Purchased from Enchanted Yarn and Fiber. I cannot wait till this place opens for real – it’s now in a “pretend mode” but is on track to open May 13th with lots of fanfare! Comments Off on One loan repaid! I’ve previously posted and urged everyone to check out www.kiva.org. For as little as $25 you can make a loan to a person or persons in a third world country and it can make such a difference in their lives. I received notification yesterday that one of my loans has been completely repaid (in 2 mos!). Now to find a person to loan that re-payment to. Since I like working with my hands and creating, I’ve decided, I’m only going to loan to people that are requesting money for their tailoring business, selling fabrics, weaving fabric, making jewelry, etc. By the time I get through looking through the list of people requesting loans, some of the loans have been fulfilled! There was a group of men that make the most gorgeous wooden baby cradles and by the time I got back to their info, someone had already loaned the $25 to fulfill their request. DARN! Guess that’s what I get for being so picky! I know I can’t save the world but making these loans sure makes me feel like I’m helping do my part….along with re-cycling! Readers – please check it out! Sheesh! I could have had a V-8 moment! DUH! In: American Idol | Knitting | knitting friends | misc. stuff | party time | Stupid things I do! Comments Off on Sheesh! I could have had a V-8 moment! DUH! I never miss American Idol; however, yesterday I must have had a brain fart and forgot it was Tuesday…because off to Barnes and Noble I went to knit! From what I’ve seen on CNN, it’s time for Brooke to vanish! I’m tired of her little pouty expressions (she’s a little old for that!) But what I don’t understand is one other time she forgot the lyrics and was told by the judges that she did the right thing by starting over; but apparently last night Randy and Simon told her she should have never started over after forgetting the lyrics! I think Kristie should have made it through last week and Brooke should have gone – another Jr. High pouty moment for her. Certainly, this week she’ll be packing! PS: I made a beer run at 11 a.m.! How do you ever decide which spinning wheel is for you? Then, how do you decide which spinning wheel is for you? I’m going to try the Mach 1 – as soon as the repair part comes in that was damaged in shipping. The treadle part of this wheel was unbelievably smooth. How wonderful to be able to try the wheels out before making the committment. Thanks, gals!